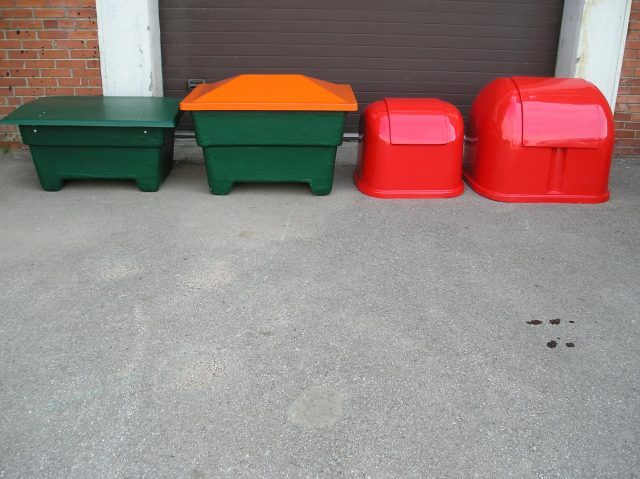 UAB Plastic formo produces GRP Grit bins and garbage boxes made of GRP for private and commercial use. Rectangular grit bin, 300 ltr. Rectangular grit bin, 400 ltr.